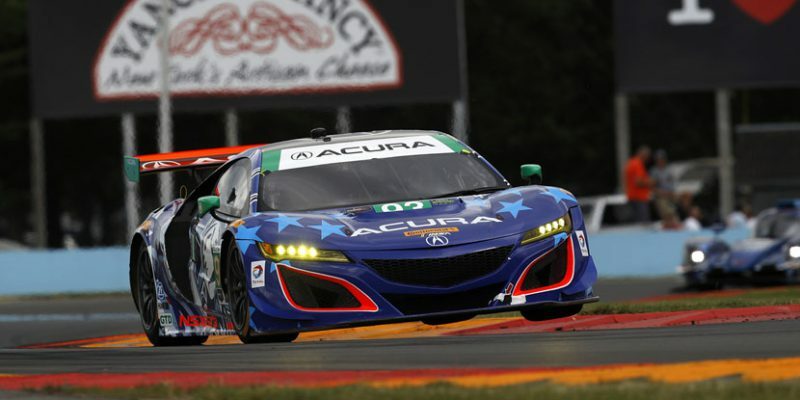 The Michael Shank Racing Acura duo of Andy Lally and Katherine Legge scored its second consecutive GTD class victory of the 2017 WeatherTech SportsCar Championship season Sunday at Watkins Glen International Raceway, starting from the pole and leading much of the six-hour endurance contest to take the checkers in their Acura NSX GT3. 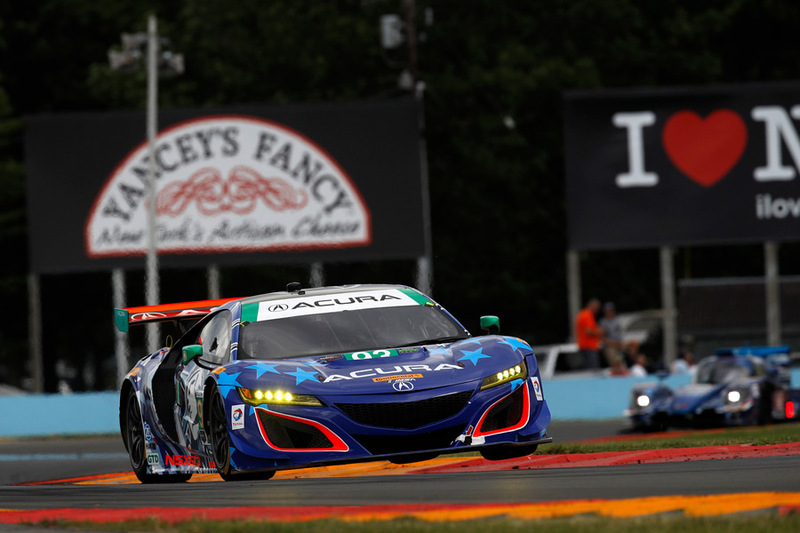 Todays victory on the sweeping, 2.4-mile Watkins Glen circuit – one of the fastest tracks on the IMSA schedule – follows last months equally emphatic victory for Acura, Lally and Legge at the Detroit Grand Prix street circuit, the tightest track on the circuit and one of only two sprint races on the schedule. Both victories serve to highlight the impressive scope of development work on the NSX GT3, which is in its first year of world-class sports car competition. Starting from the pole, Lally built a four-second lead over the course of his opening, 50-minute stint. Although a series of caution flags in the third hour jumbled the order and several competitors adopted alternative pit strategies, the Lally/Legge Acura never dropped below fifth place, and a triple stint from Legge moved her #93 NSX GT3 to second place behind teammate Ozz Negri in the #86 Acura. With two hours to go, Negri and Legge continued to run 1-2, then handed off to their respective co-drivers, Segal and Lally, to close out the race. However, with just 36 minutes remaining, Olivier Plas prototype car made side-to-side contact with Segals Acura. 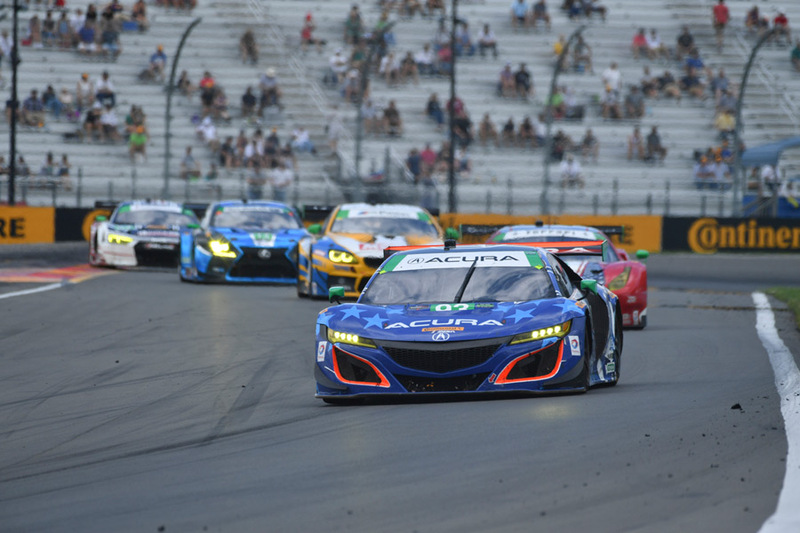 Although both cars continued, Segal reported suspension issues almost immediately, and was forced to park his Acura on with damaged left-front suspension on the next lap. Segals issues led to a final full-course caution. When the green flag waved for the final time with 25 minutes to go, held off a gaggle of GTD cars to the finish, taking the checkers ahead of a Ferrari, BMW, Mercedes-Benz and a pair of Lexus entries. 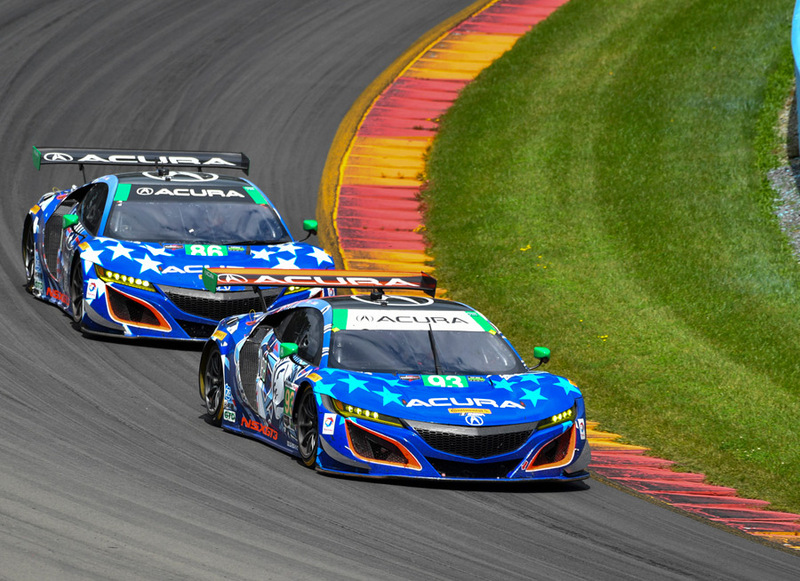 The Acura NSX GT3s compete in the GTD class of the WeatherTech series, campaigning against premium automotive brands including Audi, BMW, Ferrari, Lamborghini, Lexus, Mercedes-Benz and Porsche. Developed from the production Acura NSX, the NSX GT3 utilizes the production NSXs ultra-rigid and lightweight multi-material body with aluminum-intensive space frame, which is produced at the Performance Manufacturing Center in Ohio, exclusive worldwide manufacturing facility for the NSX. The 3.5-liter racing engine uses the same design specifications as the production Acura NSX, including the block, heads, valve train, crankshaft, pistons and dry-sump lubrication system. A six-speed, sequential-shift racing gearbox delivers power to the rear wheels. Video recaps from this weekends Acura WeatherTech SportsCar Championship victory at Watkins Glen are being posted on the “Honda Racing/HPD” YouTube channel. Produced by the Carolinas Production Group, the video packages can be found in the 2017 HPD Trackside Video Playlist at: https://www.youtube.com/HondaRacingHPDTV. 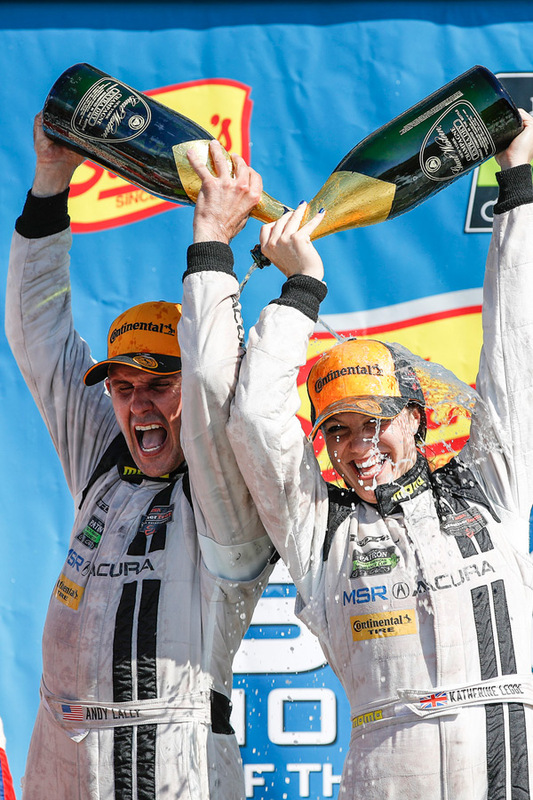 After consecutive victories for Acura at Detroit and Watkins Glen, the WeatherTech SportsCar Championship now moves to another classic road course. Canadian Tire Motorsports Park, located outside of Toronto, will be the site of the July 9 Mobil 1 Sportscar Grand Prix.